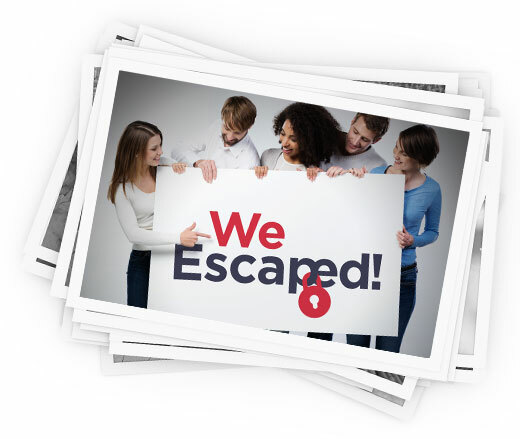 Escape Reading is a real-life room escape game based in Reading, United Kingdom. The game is designed for 2-6 people and offers a fun, team-building, brain-busting experience! After entering a room with your team, the door is locked behind you. 60 minutes are on the clock! Success, failure and bonding are inevitable – escape is not! This is an experience that will be remembered for a lifetime – assuming you get out! Locked in a room with no way out, you must search for hidden compartments, secret passageways, and clues to plot your escape – all within 60 minutes! Escape Reading offers three different rooms designed for groups of 2-6. It is perfect for groups of friends, families, corporate team buildings and of course geeks and game fanatics! You must solve puzzles, crack codes and cyphers hidden around a themed set of rooms in hopes of finding the code allowing you to “escape” in the nick of time. Take a look at some of our game photos. We’re not giving away any clues though. Sorry! For families, friends, gamers and geeks! We can't promise that you will escape, but one thing we do guarantee is that there will be lots of laughter, fun, a new respect for your teammates and of course, a group photo!